Still trying to use up those pears from the back yard before the “season” ends! 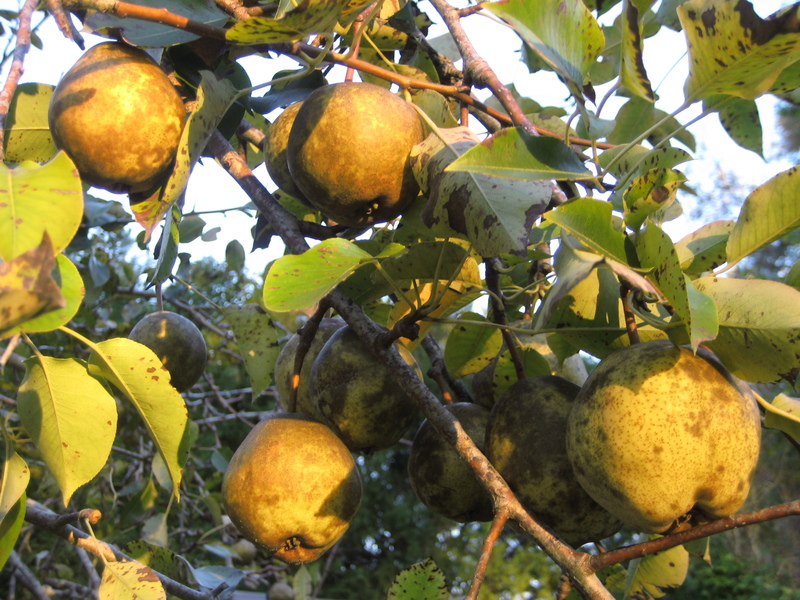 We had all these lovely pears off the tree in the backyard, but they took forever to ripen. We did eat a few here and there, and they tasted fine, but I had to find something to make with them. I didn’t want to waste them! Matt suggested, “How about pear butter? I love apple butter. It can’t be that different.” I’d never tried making anything like that before, because I usually don’t eat it. I looked through recipes online and Chickens in the Road‘s author Suzanne McMinn entertained with a heartwarming story about how she made pear butter in a 100-year-old farmhouse with an elderly woman named Georgia. I love that name. 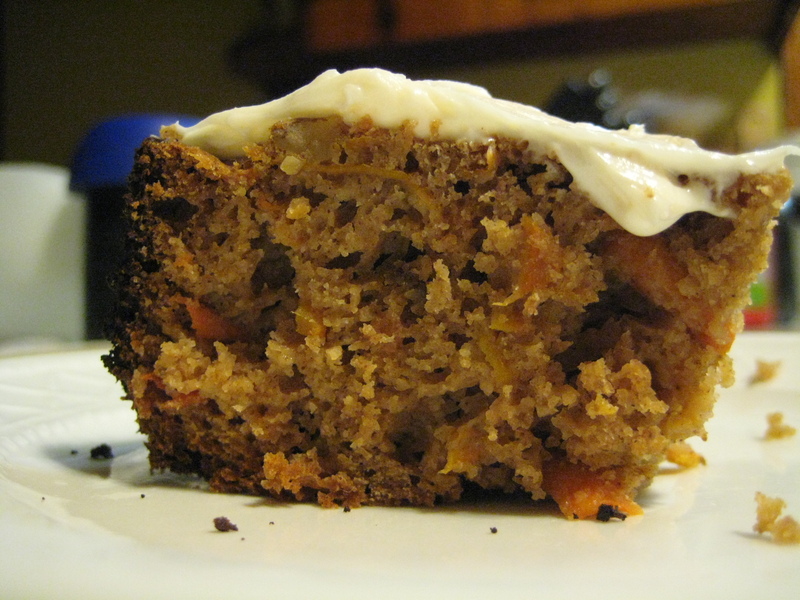 Though I didn’t use her recipe, the pictures of her pears looked just like mine, so I knew I was on the right track. I made it a little hard on myself because I had to make the pear sauce BEFORE I even attempted to make the pear butter, but it was my first time, so I decided to give myself a break. Next time, I’ll stick with Chickens in the Road’s pear butter recipe. Hold on to your britches! 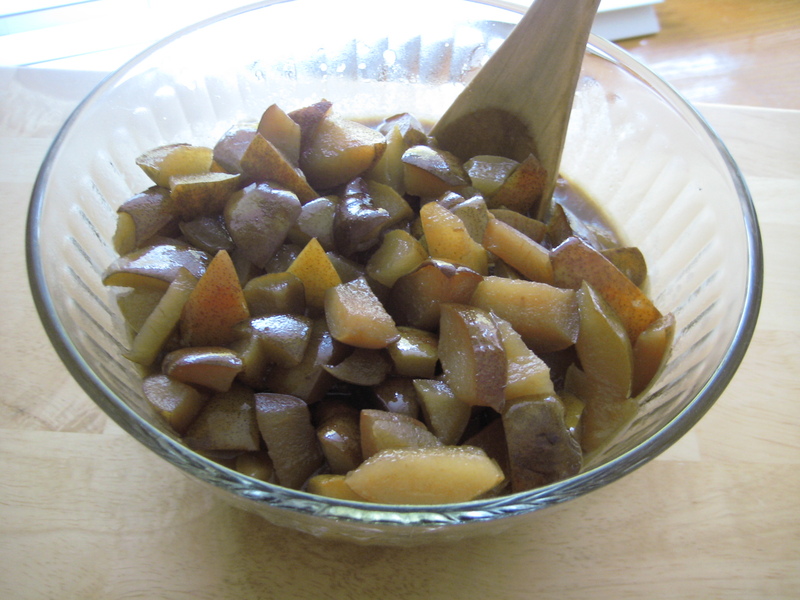 This one takes a while, but the crock pot does everything for you but core and peel the pears. My aunt Pat asked if it was possible to make cake in the crock pot. I looked it up and honey, it’s been done! I would never have thought…..